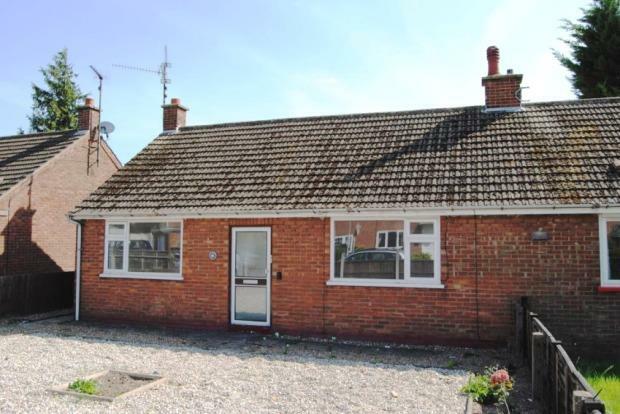 2 Bedroom Bungalow To Rent in King's Lynn for £625 per Calendar Month. Within close proximity to the town centre of Kings Lynn which offers wide range of shops, schools and leisure facilities. There is a main line station with direct rail links to Ely, Cambridge and London's Kings Cross Station. The Royal Sandringham Estate and North Norfolk Coast are within easy reach. Light and airy lounge area with brand new fitted carpet, large uPVC window, radiator and fireplace. Well presented and spacious bedroom, offering built-in wardrobe, double glazed uPVC window and radiator. Double glazed uPVC window, radiator, a built-in wardrobe. Double glazed uPVC window, radiator, composite work surface with wall and base units, stainless steel inset sink, freestanding oven, available space for washing machine. Double glazed uPVC window, heated towel rail, low level WC, panelled bath with shower over, pedestal wash hand basin. To the front is an area mainly laid to lawn. The rear has a brick build shed and has a hard standing. Internal inspection is strongly recommended to appreciate the property. Hurry! Register your interest now â€“ Available for immediate occupancy.